I'll admit, this sentiment from Welcome, Baby is my favorite! It's the perfect complement to the adorable outfit created with Bundle of Baby Clothes that Jules has showcased in her shaker element. Her monochromatic color palette is unexpected but totally sweet. Ginger is a masking maniac! A masking master! A masking maestro! 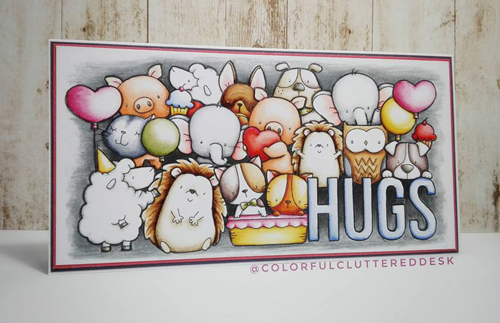 Her hugs card must have been a true labor of love...what a lucky recipient to receive this incredible gift! The Geometric Grid Background is recently retired (have you shopped our retirement sale yet? 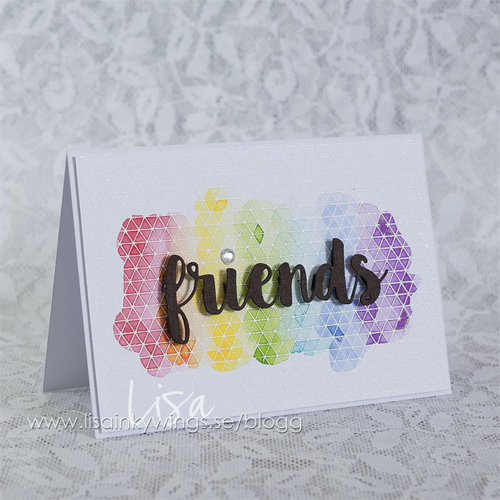 Just a few more days before we'll empty it for good so shop NOW) but Lisa's rainbow resist technique would be equally beautiful with any number of our background designs. Simple, sweet, and perfectly suited for the impending season — Jasleen's Harvest Mouse look has me feeling fall in a big way! You all were clamoring for Witch Way Is the Candy? in a BIG way when it released last week along with our August card kit. Super sweet scenes like this one are a perfect example of why you were so excited - positively perfect! All of the cards are just wonderful and bring a smile to face, but even better they spark such creative thoughts. I never would have thought to use those soft neutrals for a baby card. The masking is incredible but not anything I'd probably ever try. 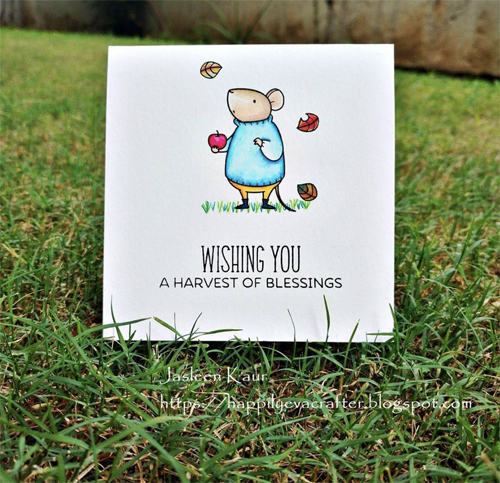 The simplicity and balance of the friend and blessing cards is very appealing. 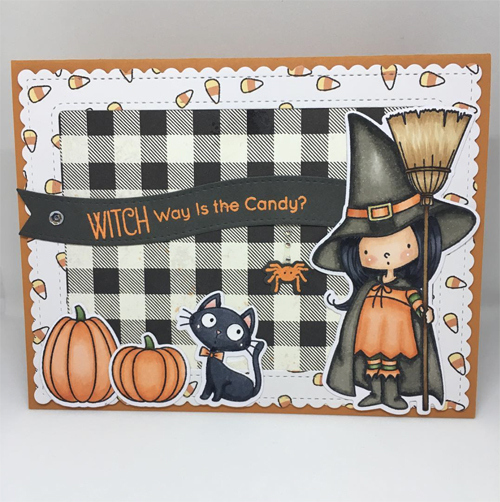 And I love Halloween cards and that one is super adorable. Thanks to all for sharing.